How do the channel names of the most popular YouTubers look like? Look at the picture on the right. The channel usernames of 10 the most subscribed YouTubers look interesting. Some are really catchy. But some are long and difficult to pronounce and memorize. We guess, the problem is follow. On the first stages of developing own channel, YouTubers think that the quality of username doesn’t matter. 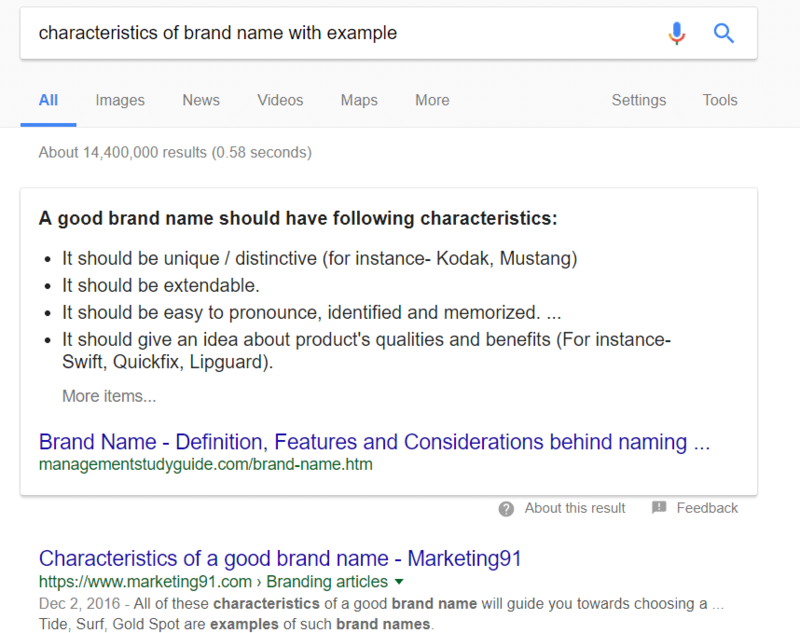 But creating a good YouTube name is similar process to creating a brand name. It`s not a random choice. More views and subscribers you have more important the quality of your username becomes. Moreover, you always need to look further and optimize your videos with Youtube Channel Keywords. Then you will get more views and more subscribers on your videos. 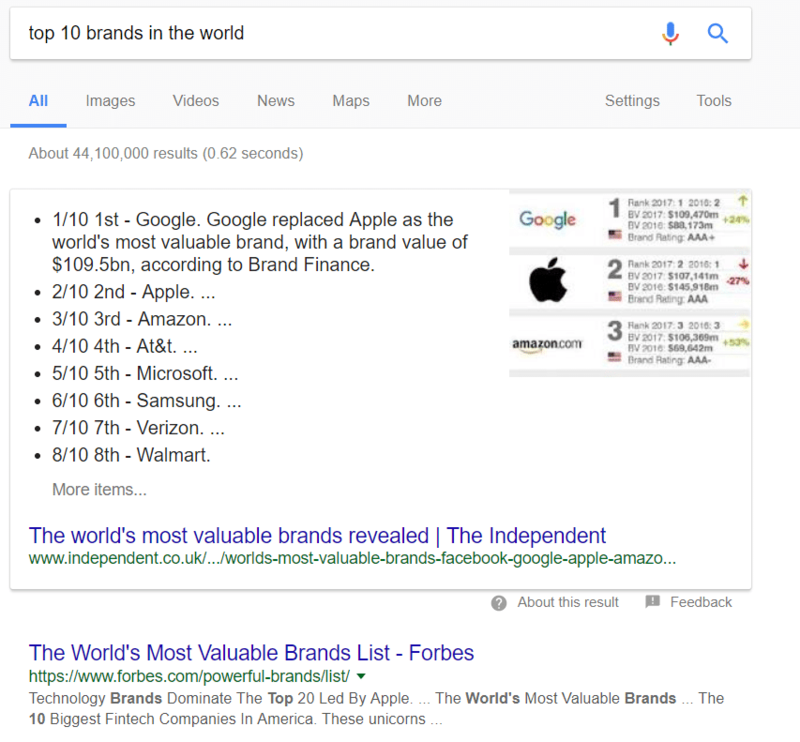 How do the names of the most valuable brands look like? And now look at the picture on the left. Google, Apple, Amazon, At&T, Microsoft, Samsung etc. Why the most valuable brands do have so simple names often? The answer is easy. Brand is a message. Message that lives in the human brains. Brand is a choice, that person makes more often in the modern world. YouTube channel name also is same message. So, planning to build a big business on YouTube, it’s better to use the lessons of the big brands. 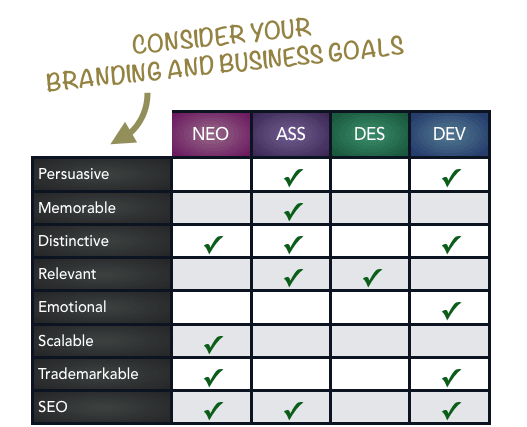 Such simple dividing all brand names on four categories helps to forward your thinking process by the understandable paths. What's important to remember during looking for the cool youtube channel name? On what market you are working? The market isn’t the place where something is produced. This is place where something is consumed. What product do you sell? One product can be used in different variants. For different audiences you can sell different valuable features of one product. Somebody can buy a watch to see the time, somebody to show own social status. One product, different needs. What is your target audience? Try to understand the main goals of your audience. Do you want to grow to international YouTube channel or still work for one special region? Do you plan to work in one special category or grow the type of your content.? It’s important to answer these questions on the early stages. All these points influnce on the best variants for your brand name. Only after that, we are going to the “technical” questions at the left picture. Imagine your YouTube channel in the future. More popular you will be, more your loyal audience will share with others your videos, channel, ideas. The easier it is to explain to others who you are, the more your audience will grow. 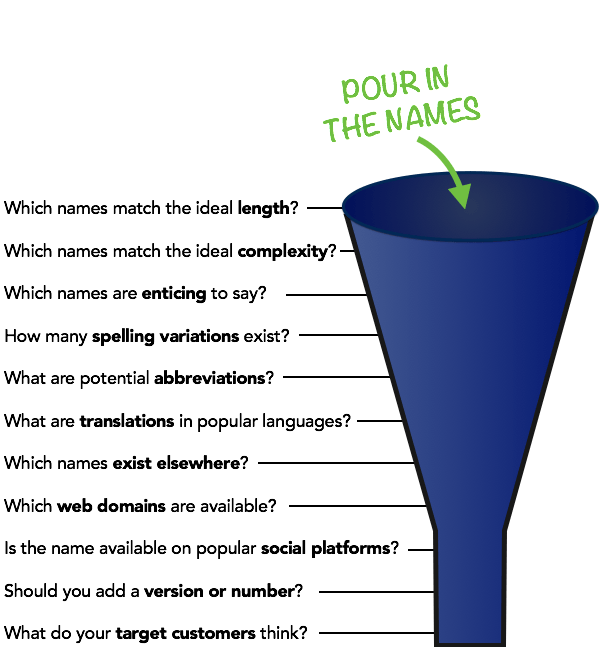 Your brand name should be unique and extendable, easy to pronounce, identified and memorized. How to make a YouTube name using Kparser and own imagination? 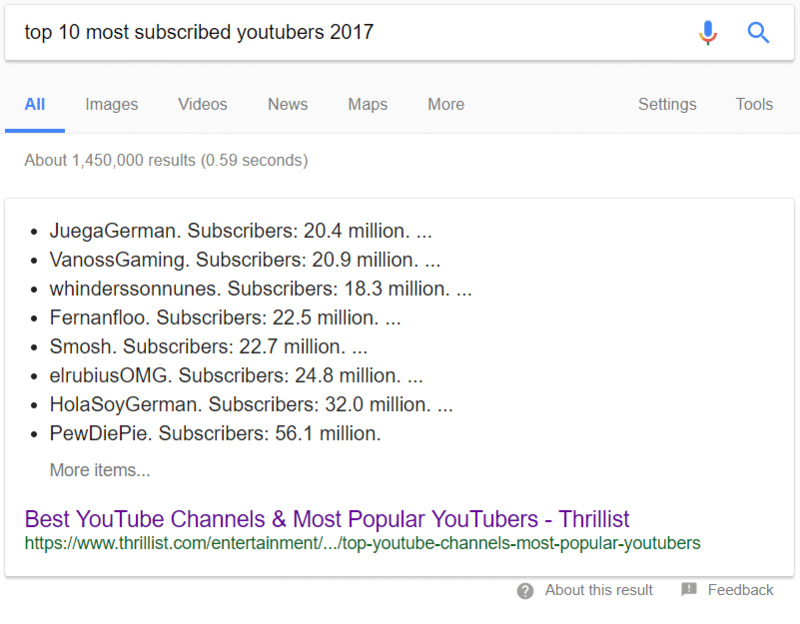 Some YouTube name generators combine words from two tables to suggest a list of usernames. But it’s a very simple mechanism that has a low efficiency. You can do the same thing with our alternative to Google Adwords Keyword Planner. We are sure, that ideal YouTube username might be created only yourself. YouTube name generator can only offer a huge list of unique and interesting words. Thus, our YouTube keyword tool is a great solution as for tag and keywords generation, such for getting creative username ideas. 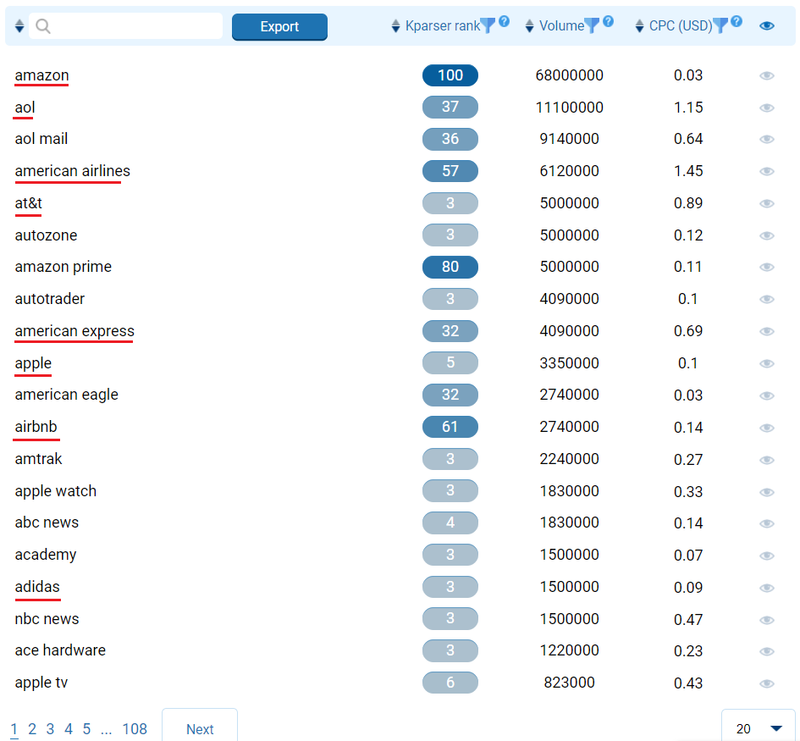 Type some letters or unique words in the input field above and get thousands of keyword suggestions from the source you want. There is a big chance you’ll find something interesting word, phrase that would become your YouTube channel username. It doesn`t matter if you look for gaming, vlog or couple name youtube ideas, our generator will provide them immediately.